Scotline hosted the 21st Scotline grand Prix on Tuesday 4th July, 2017. 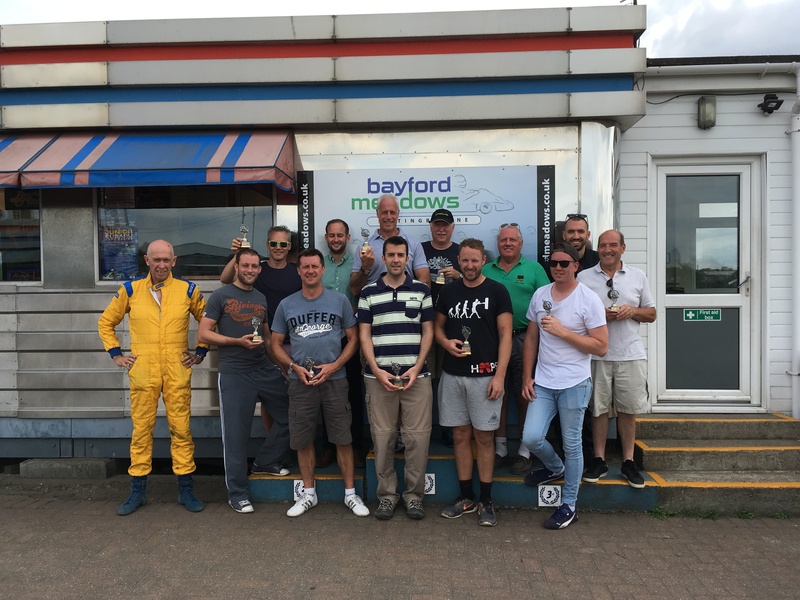 Once again, everyone descended this week on Bayford Meadows Kart circuit in Sittingbourne, for the 21st annual Scotline Grand Prix. On Tuesday 4th July we got together the great & good of the timber industry and UK short sea to see who could complete the most laps of the kart circuit in a 3-hour endurance race. The pace was a little bit slower than in previous years! It was a perfect day for racing with warm weather and a bit of cloud. All of the regulars were present along with a couple of new faces, it promised to be an exciting race. From the green flag on, there were 2 fore runners – Tysers and TM Global – that left the pack behind and so it stayed for the remainder of the race. With the eventual winners getting away, there were still some great battles on the track with everybody finding other drivers of similar standards to tussle with. Eventually though, it just came down to which of the 2 teams would come out victorious…. Congratulations to TM Global for eventually coming out on top, with Tysers in a close second, and a good time had by all. We hope to see you all again next year for another close and enjoyable race.